To be an impressive zombie, it is best to show your own, personal features, twisted into the visage of a feral, undead ghoul. 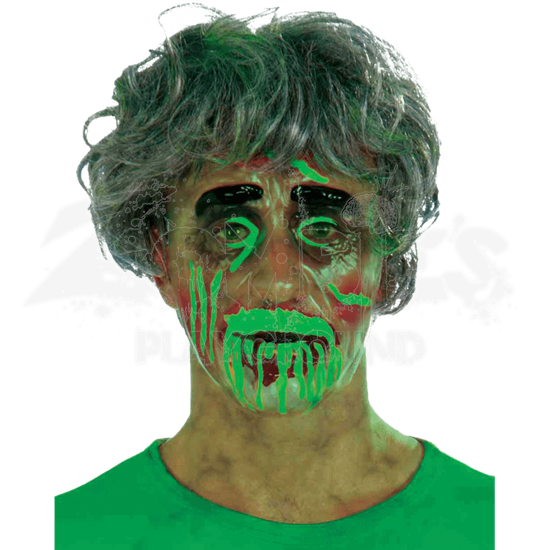 With this Transparent Male Biohazard Zombie Mask, you can turn yourself into just such a ravenous ghoul. This mask is semi-transparent, which means that it allows the wearers features to show through just enough to create a personalized ghoulish look, while overlaying several impressive details that transform anyone into a ghoulish zombie with radioactive traits. Toxic green ooze and gunk cover this zombies features, making it look as though it is a walking radioactive beacon. This mask, when worn, covers only the face. Please note that any other features shown above, like the wig or the shirt, are not included. 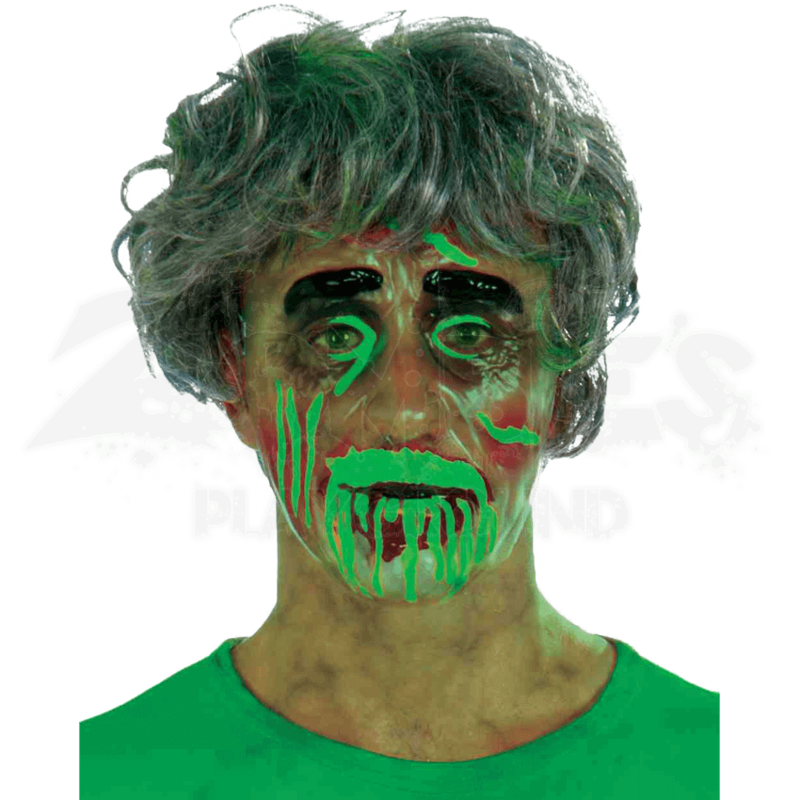 For a truly devious and disturbing zombie look that is sure to have the still-living humans you know running in terror, don this Transparent Male Biohazard Zombie Mask. Or just wear it for kicks whenever you want to be a little bit more zombified throughout your day.